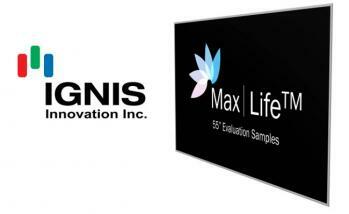 Ignis also says that MaxLife can enable an easier migration to higher resolutions (i.e. 4K) due to the simple pixel structure. Currently the company is only offering a single FHD 55" MO panel, but the company told me they have more displays planned for the future. What does MO mean here? Ignis is presenting at OLED Summit about its technology and how its technology improves the quality and yields.